Have a question about the ScubaMax WB-04 Four Pocket Weight Belt? 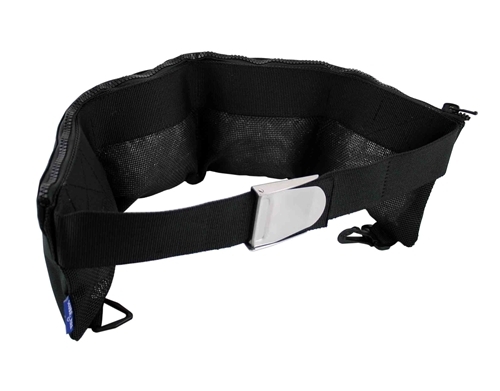 This is Scubamax's 4 pocket weight belt with adjustable 4" Nylon belt on both sides. Has a Stainless Steel buckle for loosening and tightening. Is 30" in total length.